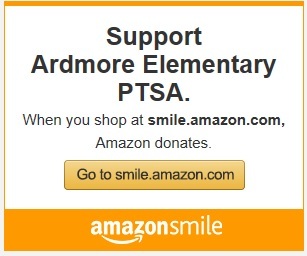 This is a special year for Ardmore Elementary. 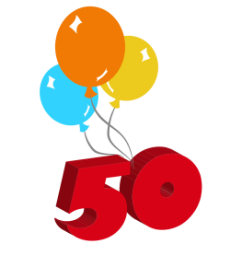 We're celebrating our 50th birthday! The PTSA has planned a full year of events for everyone to enjoy the many programs that help enrich our students' lives. The PTSA is 100% run by volunteers, 100% funded by donations, and we rely completely on your help. YOU make up our PTSA and make all these events and programs possible. What is the Ardmore Olympics? 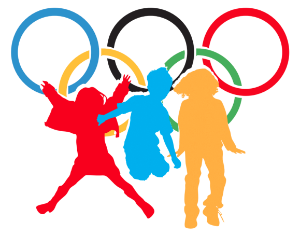 Ardmore Olympics is the culmination of our main fundraising event of the year. It's a fun Saturday filled with sporting events for all students and fun activities for the whole family. Funds raised during the week leading to the Olympics define our budget and hence what we're able to do for the rest of the school year. Please be generous! Give whatever you can. Let's make this an amazing anniversary year together! Thank you for supporting our school. You can also donate online! Click the yellow "Donate" button below.